Fair Business Loans is part of Fair Finance which is the fastest growing microfinance organization in the UK and so we take a keen interest in which banks are offering the best service to small and micro companies. Recent Research compiled by Business Banking Insights looked to establish which banks are providing the best services to companies with less than ten staff (micro-businesses). What it found when it came to grading the experience received by business owners was that Santander, Co-operative Bank and Metro Bank scored highly, but that the larger more established banking organisations such as HSBC, Barclays and Lloyds achieved relatively low scores. Loans to small businesses were slashed during the financial recession as banks tightened their belts on all fronts, but especially with small loans. Prior to the crisis, small businesses had personal relationships with their bank, but this is generally not the case anymore. 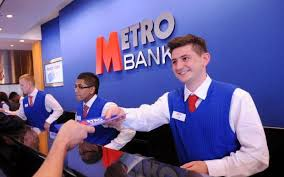 However, in 2010, Metro Bank became the first bank in more than 100 years to be granted a new license and launched with a focus on bringing customer service back into banking, opening stores in prime locations in and around London. With this focus, it is no surprise that it is rated so highly for its customer service and we are very pleased to be working with them to support local small and micro-businesses. 1. Treanor, Jill. "Banking: Taking on the 'Big Four' Banks Is the Hardest Job on the High Street." The Guardian. N.p., 06 Apr. 2012. Web. 27 Jan. 2016. 2. “KPMG UK and Metro Bank Provide New SME Service." KPMG UK and Metro Bank Provide New SME Service. N.p., n.d. Web. 27 Jan. 2016.